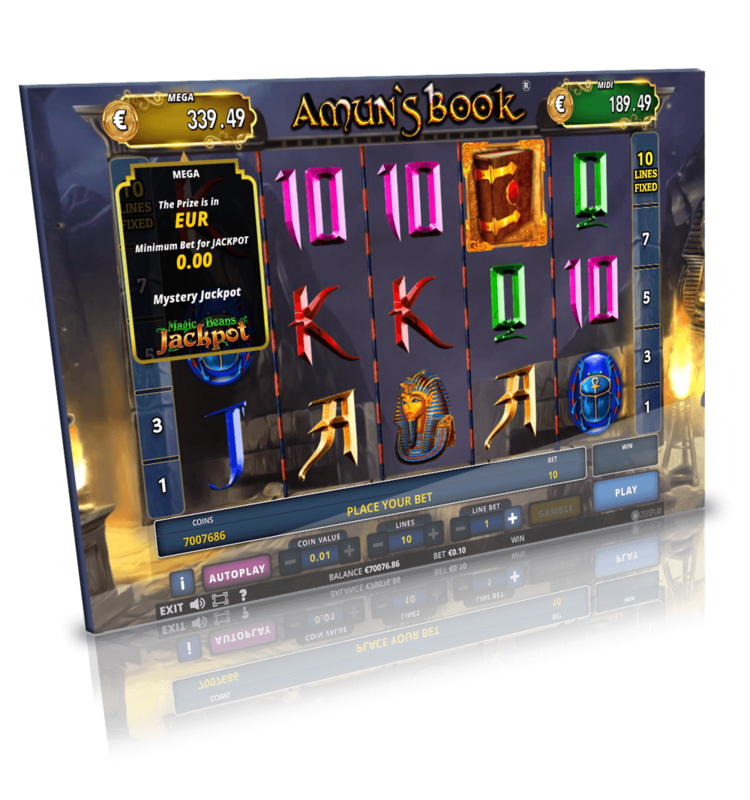 Each Jackpot level has a minimum bet value that the players need to equal in order to participate on each level while is progressively raised while all the slot games contribute to it. 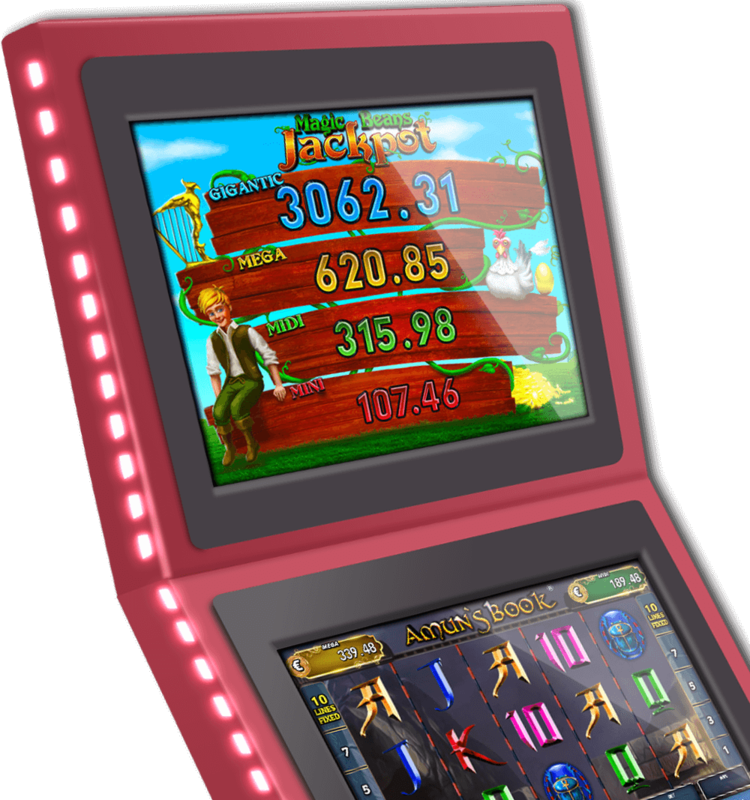 The Jackpots appear in all slot machines on the second monitor in a more themed approach, while on the lower screen the 4 Jackpots still appear on the right and left of the game’s title. 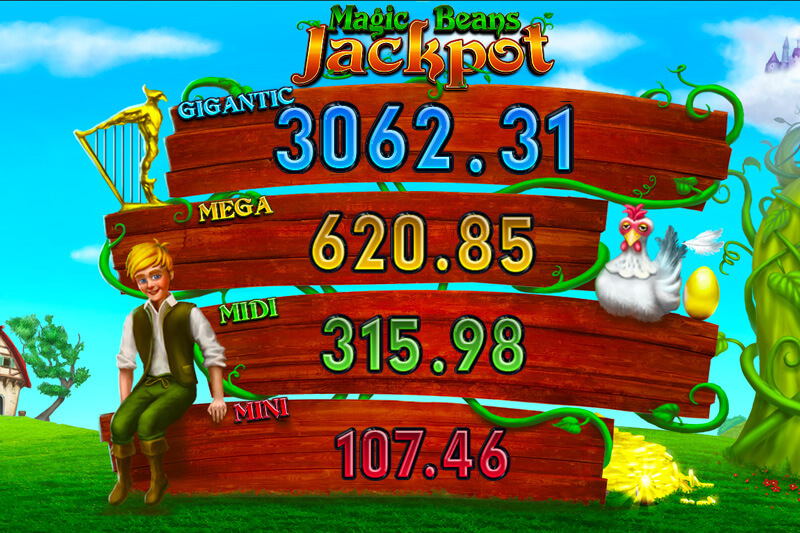 The Jackpot screen on the second monitor displays all 4 jackpot levels on a more fairytale themed approach including a golden goose sitting on the “Midi” Jackpot level and a boy sitting on the “Mini” Jackpot level waving around his legs and smiling while the Gosee is dropping her golden eggs. 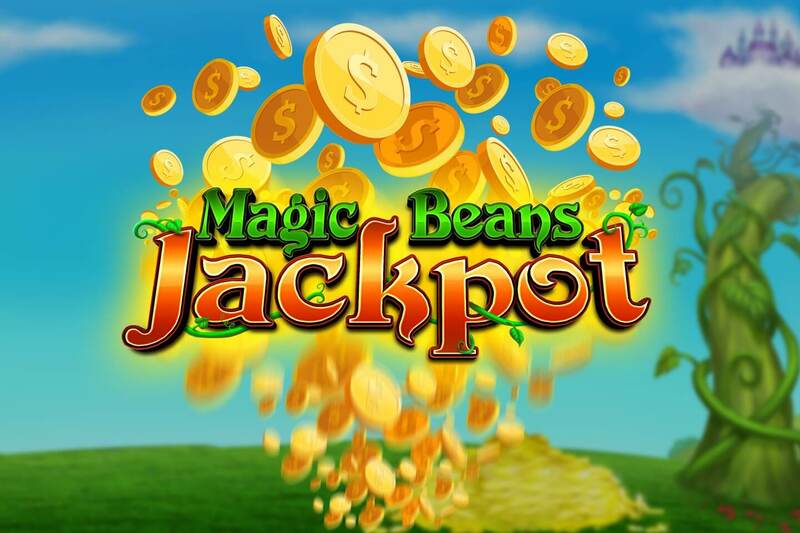 Magic Beans Jackpot is a 4 level progressive mystery jackpot system. 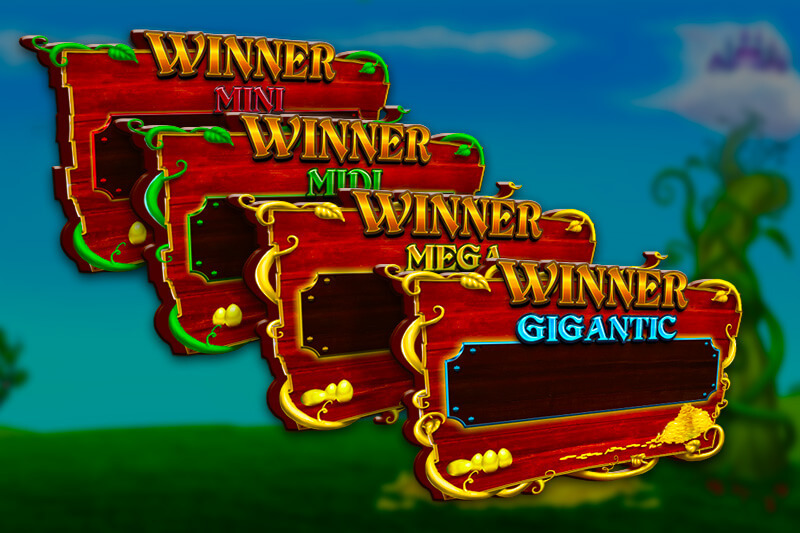 The highest level of the Jackpots is the “Gigantic”, then follows the “Mega”, “Midi”, and “Mini”.